North and South Korea held talks for the first time in two years, and emerged with a plan to hold military talks. Some skeptics of the talks thought North Korea may not be genuine, or that South Korea may be overly eager to smooth things over. But Seoul's diplomats stood firm and brought up denuclearizing the peninsula to the displeasure of Pyongyang. Both sides made concessions that will allow citizens of both Koreas to attend the upcoming Pyeongchang Winter Olympics. 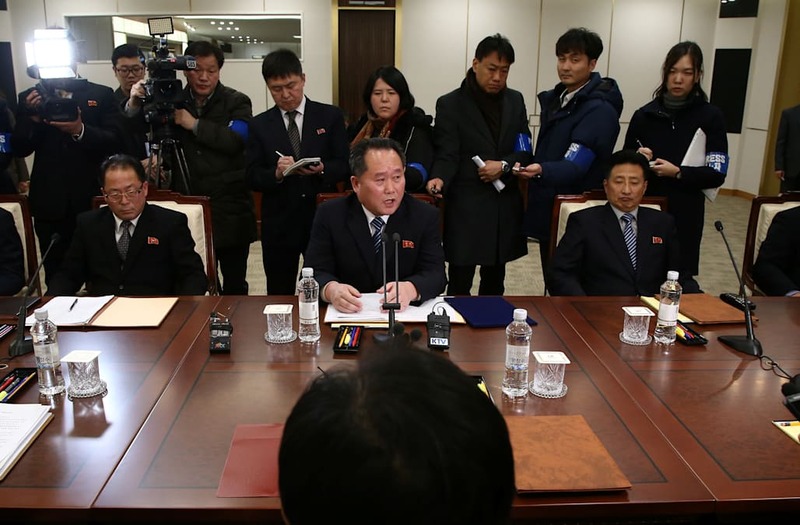 Diplomats from North and South Korea emerged from the first formal talks between the two technically still at war nations on Tuesday to declare they would hold military talks. The talks, initially slated to discuss the upcoming PyeongChang Winter Olympics which South Korea will host in February, veered into political and military territory, as President Donald Trump and much of the outside world hoped they would. The successful inclusion of North Korea in the games could have a huge impact on ensuring a safe and successful Olympic games. But they had wider ramifications, and resulted in the opening of a military hotline which could serve as a first line of defense in deescalating what became a nuclear crisis and extended brinkmanship between the US, South Korea, and Pyongyang. South Korea appears to have remained firm in the talks by bringing up denuclearization, a move sure to please Washington and the more hawkish elements of the Trump administration. North Korea expressed a "negative sentiment" at the mention of denuclearization, a trajectory they reject, having written their possession of nuclear weapons into their constitution under leader Kim Jong Un. Skeptics of the talks point out that North Korea has often made overtures of peace to South Korean administrations after times of raised tensions, but the opening of a military hotline is a tangible step that provides both sides an off ramp should a potential military incident occur. But all reports from the event describe a generally warm encounter, where South Korea stuck to its principles and both sides left the majority of the disagreements for another day.